CEPTETEB has been completely renewed! CEPTETEB is TEB's next generation digital banking platform with newly added digital channels. 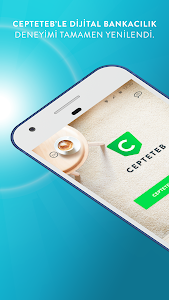 No more waiting in queues at the bank branches and wasting time with complicated banking procedures; there is now CEPTETEB which instantly turns any place to a bank wherever you need it and makes your life easier with its practical solutions beyond your expectations! With CEPTETEB, you can perform all your banking transactions from your seat, without having to go to the branch. 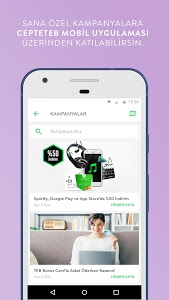 If you are not yet a CEPTETEB customer, download the application first and fill out the “Become a Customer” form, and we will visit you at any time and at any place you wish and help you to become a CEPTETEB customer. In the renewed CEPTETEB mobile branch, CEPTETEB Account, CEPTETEB Time Deposit Account and CEPTETEB Consumer Credit that we have designed according to your needs are waiting for you with their advantageous interest rates. Besides, you may also apply for CEPTETEB Credit Card which would stop you carrying multiple credit cards. 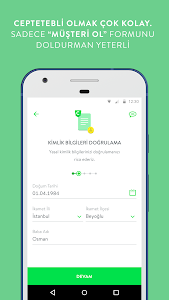 Through the mobile branch, you may continue conducting your TEB-related banking transactions as usual, and also perform your transactions regarding the products specific to CEPTETEB Digital banking platform. 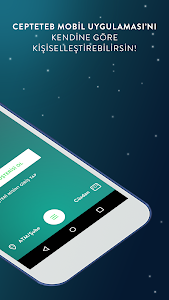 You may contact online with CEPTETEB Support Center in writing, and get guidance as well as assistance for any type of information that stick in your mind. 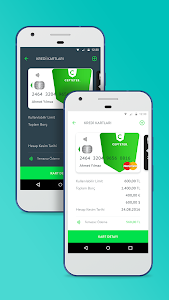 With the cloud-based contactless payment feature that we announced in Turkey first, CEPTETEB has become a mobile wallet at the same time. 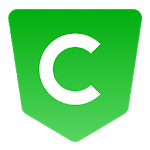 Click to learn the actions you can take with CEPTETEB. If you have any questions, be sure to contact us on social media accounts or e-mail addresses. We continue to improve CEPTETEB Mobile Application throughout recommendations and requests from you. In this release, we have fixed bugs and made performance improvements.